Last week, I was fortunate enough to be invited over to Blizzard headquarters down in Irvine to get the first hands-on look at the eagerly anticipated StarCraft II. While the original plan was for us to get some hands-on time with the Terran campaign in the single-player mode, we were informed a few days before the event that the focus had shifted, and that we would be seeing multiplayer instead. 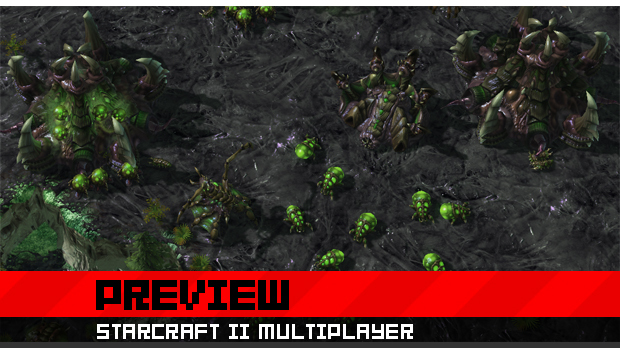 Either way, I was happy; it's StarCraft II! Hit the jump and see what StarCraft II multiplayer is like, the cool new stuff they're adding to the game, and some of the gameplay changes you'll have to prepare for when the game is officially released. After getting to the event and signing in, we were herded into an auditorium-like room with a bunch of really, really comfortable seats. After a very brief presentation on where StarCraft II was at, all the secret things we weren't allowed to talk about, and how everything we were seeing was subject to change as a result of balance tweaks or design alterations, we got to watch two Blizzard employees go at it. This was particularly intimidating, because, as you would expect, Blizzard employees are very, very good at StarCraft. While I previously had never understood the appeal of watching competitive StarCraft, these matches were actually extremely interesting, thanks in large part to the guy who was doing all the commentating. As the two Blizzard players slammed out units quicker than most people can set up three pylons and a gateway, you could hear all the games press muttering to each other about how long it had been since we had all played StarCraft and how badly we were going to get our asses kicked. After watching the three games, they let us loose to try out the multiplayer part of the game ourselves. So, let's get straight to it. 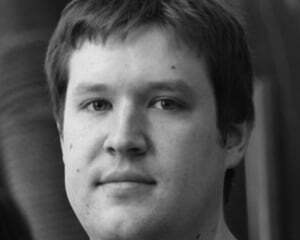 Is StarCraft II good? If you're one of the .01% of gamers who has never played StarCraft, it's a game that helped define the real-time strategy genre. 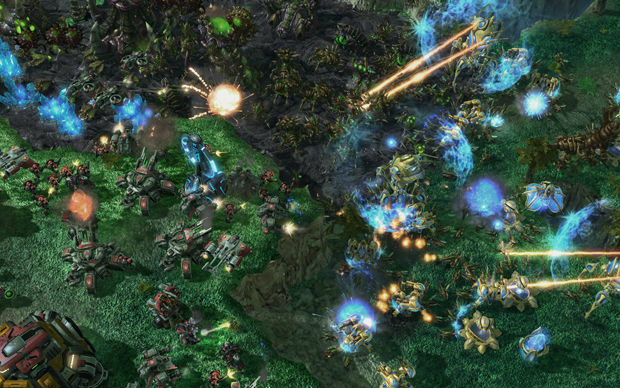 You pick from one of three races -- the Terrans, the Protoss, or the Zerg -- and build up your base and army while trying to take your opponents out. If you're a fan of the original StarCraft (which should be most of you), you're going to feel right at home playing StarCraft II. 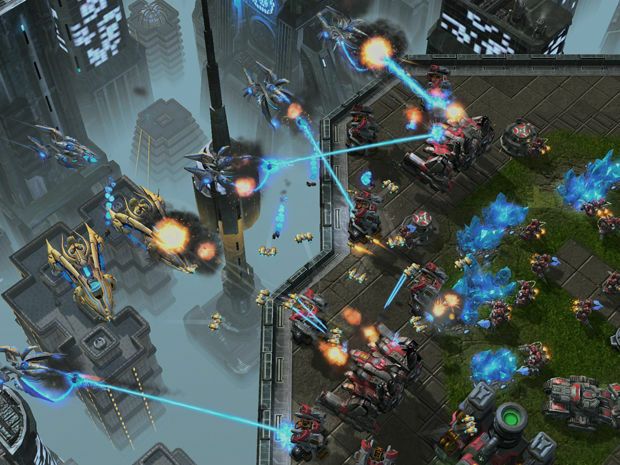 The pure fundamentals of the game remain relatively unchanged, and even though I hadn't played StarCraft in almost two years before going to this event, I was able to jump right into the new version of the game. The entire interface will be incredibly familiar to anyone who has ever played a Blizzard RTS game before, so don't worry about having to relearn the game entirely just to be able to play. The core is the same, and the new stuff in the game should be relatively easy to grasp. The new strategies, of course, will take much longer to master. To start with the most obvious, the game is graphically light years ahead of the original. (This shouldn't come as a surprise, since the original game is 11 years old.) The level of detail in the game so far is pretty incredible, all the way down to different death animations for individual units depending on what killed them. My favorite was the new Zerg unit that basically melted its opponents. The warp-in animations for the Protoss are much cooler now, the maps are far more detailed, and everything is just a bit brighter and more vivid. They've even introduced random weather effects into the maps -- on one of the levels we played, a rain storm broke out at the beginning of the game. Additionally, you can now select MANY more units than you could in the first one - I had 44 selected at once at one point, and I'm pretty sure you could select even more. 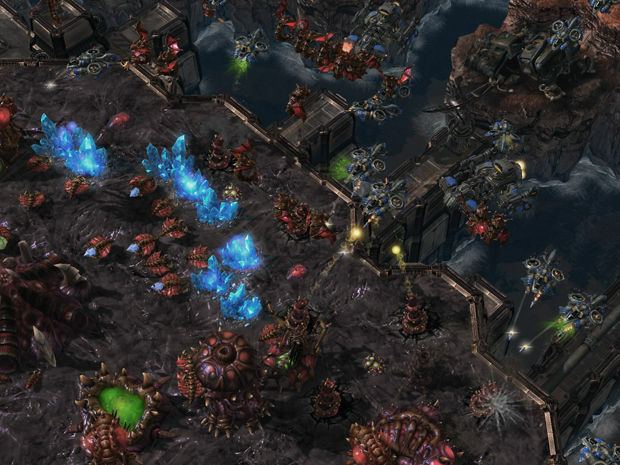 There are a few cool new things on the maps themselves that you can take advantage of, and will likely be critical to winning any game of StarCraft II. The first is a new structure called the Xel'Naga Watch Tower. These are neutral buildings that can be captured by moving a unit next to them and keeping it there. Holding one of the towers gives you a pretty large sight radius around the tower itself, and can be invaluable in tracking enemy movements or getting advance warning of an attack. The strategy with using these is deciding how much of your forces you should leave behind to guard it. You can hold it with only one unit, but if your enemy sees you and tries to take it back, he'll be able to do so easily. Leave a small fleet there to guard it, and those units are effectively taken out of battle, since they'll just be standing around guarding a tower. Also new are yellow high-yield mineral deposits, which provide more minerals per trip than the standard blue ones. Thse high-yield mineral deposits are usually in very dangerous areas, often sandwiched between two starting zones, making them a high risk/reward investment. Building a base next to high-yield deposits can give you a quick economical advantage, but expect to be attacked fairly quickly after setting up shop. Additionally, most maps now have destructible terrain, such as big piles of rocks scattered around them that have a high level of armor and hit points. In some maps, they block side entrances to your base. In others, they're placed right in the middle of the high-yield mineral deposits, requiring you to spend time clearing them away while leaving yourself exposed to attack from the other players. As far as the races themselves go, the Protoss have seen the biggest change from the original StarCraft. While they still use pylons and warp gates, Blizzard wanted to make their unit production a little more unique. In what I think is possibly the coolest change in all of StarCraft II, the Protoss can now do two really awesome new things. Gateways, the standard combat unit production facility, can be upgraded into Warp Gates. Warp Gates lose the queuing ability of the Gateways, but allow you to instantly warp in new units to any pylon on the map. While there is a cool-down period before you can warp in another unit, using multiple Warp Gates and micromanaging the cooldowns will actually let you get more units out on the map far more quickly than a standard Gateway. If you can't get a pylon built up in a hostile area but need to get units over to the enemy base, or want to launch a sneak attack, you can use a new unit called the Warp Prism. The Warp Prism is essentially a flying pylon, so if you can sneak one around the map and into an unnoticed corner of the enemy base, you can start warping in units directly from your Warp Gates. It also acts as a transport, making it absolutely critical to Protoss strategy, and can even power structures if you want to build a line of cannons to protect the forces you're warping in. 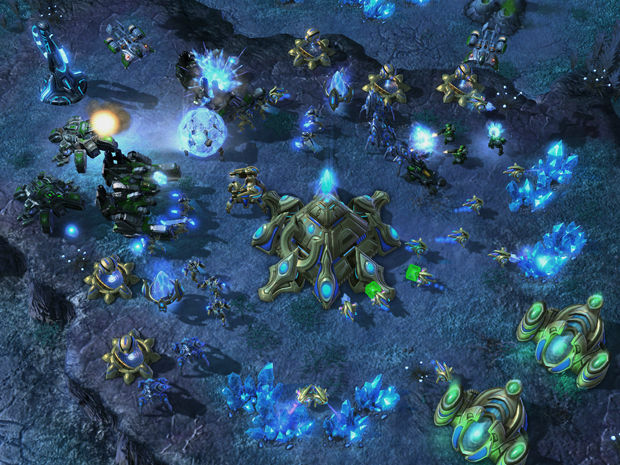 The core gameplay style of the Zerg and the Terrans, aside from using the new units, seemed relatively unchanged. The Zerg still build weaker units cheaply and quickly, and the Terrans still have a kind of upwards, steady-scale progression where they start out relatively weak and ramp up as the game goes on longer and longer. The Zerg now have a structure called the Nydus Network, which both produces Nydus Worms (the Zerg's transport units) and also allows units to instantly travel to any other Nydus Network the player controls on the map. The Zerg can now also produce a Changeling, which looks like one of the opposing player's units and can act as a spy. Changelings have very low health and die after a certain time period, but they're pretty easy to plant in a base unnoticed. But the best new unit by far that I saw in the whole game was the Brood Lord. These are top-tier flying units that shoot broodlings at any ground structures and units. While they have no air defense, a pack of these combined with some Mutalisks and the new Zerg anti-air corruptors usually ended the game in all the matches that we played. Most of the original Terran units have been replaced with newer counterparts. Medics are no longer a multiplayer unit (although they will be in parts of the singleplayer campaign), and have instead been replaced by the Medivac, a flying transport vehicle that can heal injured units. Firebats are gone, but there is now a speedy little vehicle unit called the Hellion that has a flamethrower attached to it. New infantry units include the Marauder, which shoots concussive grenades that slow the enemy, and the Reaper, a relatively low-damage unit that ignores Protoss shields and also has a jetpack, allowing it to jump up and down cliffs. There's also, of course, the giant mecha unit Thor, which is a strong all-around assault unit. One new strategy that we were shown with the Terrans involved using Supply Depots to block off certain parts of the map, or to protect a base. Supply Depots can now be lowered into the ground on command, letting your units walk over them. When we watched the Blizzard guys play, one of the first things they would do would be to block off the entrance to their base with Supply Depots to prevent any scouting by the opponent. Additionally, most buildings that produce units can now have one of two add-ons attached to them. Tech Labs are required if you want that particular structure to be able to build the higher-tier units (each building must have a tech lab attached in order to build them), but if you just need to pump out units quickly, you can outfit the buildings with a Reactor instead, which allows you to produce two units at once. Also new to all three races are structures, units, and abilities that can help you to speed up your economy and/or production. The Terrans, by upgrading a Command Center to an Orbital Command, can call down a MULE, which is basically a superpowered SCV that harvests minerals at a much faster rate than normal SCVs. The Zerg queen can use an ability called Spawn Larva that increases larvae production at a base for 45 seconds. 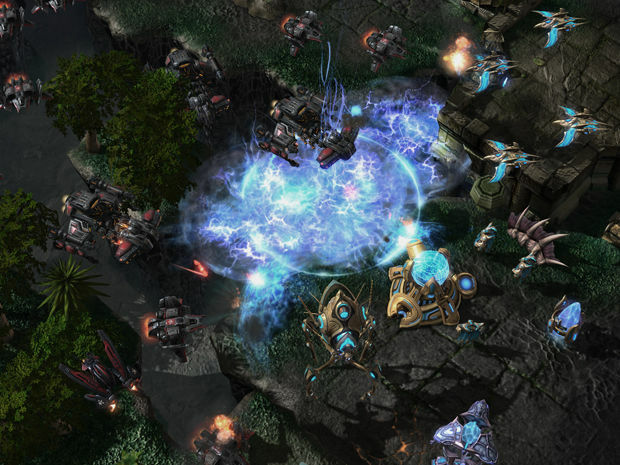 The Protoss can build a structure called an Obelisk, which is a building that has an ability called proton charge. When proton charge is cast, all probes in the area harvest minerals at a faster rate for a set period of time. While you can likely win a game without using any of these abilites, when micromanaged properly, they can provide a fairly significant advantage in terms of unit production and mineral gathering. The final thing I want to mention is the overhauled spectator mode for watching other people's matches, which is surprisingly cool. Instead of only getting a standard overview of the map, you also have an option to select the views of individual players, which will show exactly what they can currently see and what parts of the map are still covered by the fog of war. You can even go so far as to match an individual player's camera exactly, so you can watch them click around and see exactly what units they're selecting and where they're directing their attention. Additionally, while in spectator mode, there's a host of game options available. You can view a list of all units each player currently has active on the battlefield, see all the units players have in production, look at everyone's economic progress, see what players are spending their resources on, get a look at the average and current actions per minute (APM) of all players, and more. Having access to all this information not only makes spectating games interesting, but also can serve as a useful tool for players looking to improve their game. In addition to the stats available from spectating, Blizzard also said they plan to have a full list of these stats available and the end of each game for all players. These stats are even more in-depth, featuring graphs and charts of resource gathering, resource usage, damage done, and a whole host of additional features that weren't fully covered. The neatest thing I saw was that, among the stats, is the complete, time-stamped build order of each player, which shows exactly what units and structures were built at what point in the game. If all this information isn't enough for you, Blizzard is also working on a simple replay system. All games you play will be automatically saved in a very small script file (around 100 KB, allegedly) that can be easily shared. The replays now have rewind and fast forward options, letting you easily skip to and rewatch all the critical parts of the match. I do want to stress that this was based on a current preview build, and that new builds are being developed constantly, so it's entirely possible that some of the information in this article may be out of date by the time the official beta and the full game comes out. While I have to admit that I walked into StarCraft II excited, I left even more excited. Based on what I saw, the sequel is staying as true to the original game as possible while introducing enough new units and mechanics to make the game feel like a true sequel. 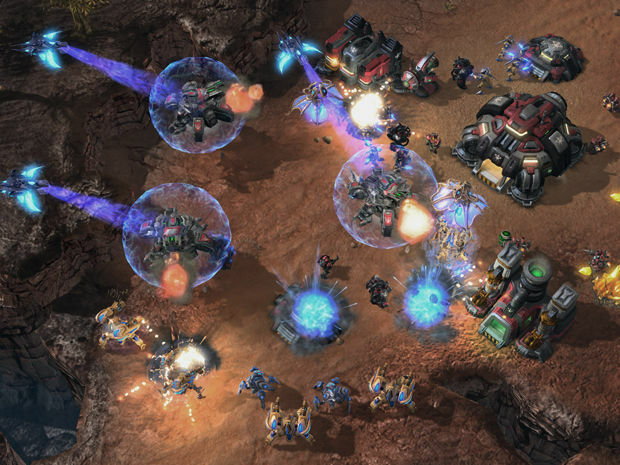 If you're a fan of RTS games at all, particularly StarCraft, the final release date for this game can't come soon enough. For more information on the single-player mode, and some more insight into the mechanics of the multiplayer, check out our interview with Lead Game Designer Dustin Browder.